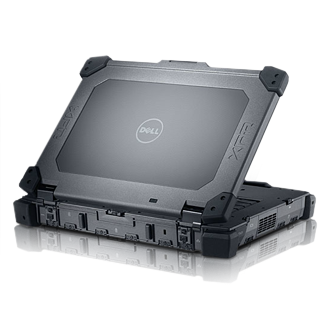 Cutting-edge DELL WLED DirectVue™ Sunlight Readable Technology & with Touchscreen. Flexible design: Expand your possibilities with optional hot-swappable media bay modules, including batteries, USB 3.0 drives, optical drives, hard drives and a legacy I/O module. 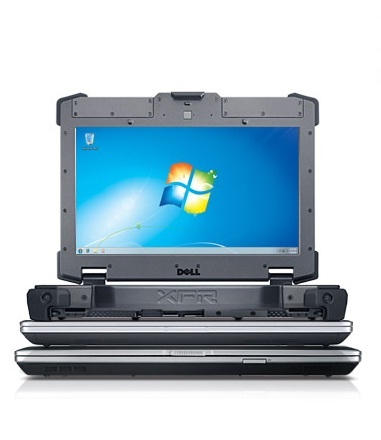 With its blazing performance and versatile usability, the Latitude E6420 XFR offers the features you need for work in rugged environments, including a 14.0” HD antiglare LED display with Direct Vue™ technology for sunlight readability and an optional resistive touch screen. 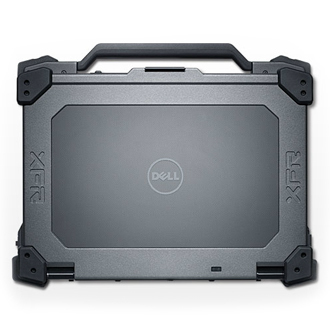 Just as tough on the inside, the E6420 XFR is packed with dual-core processing performance, optional discrete graphics, and long battery life with a 6-cell ExpressCharge™ battery (for recharging to 80% in an hour) and an optional 12-cell battery slice. 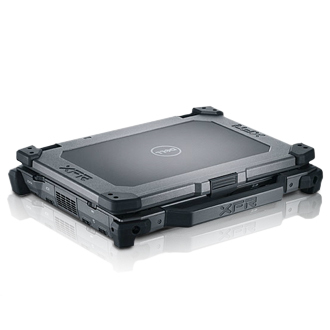 Optional hot swappable media modules, including USB 3.0, optical drives, battery, hard drive and a legacy I/O module, enable increased productivity and flexibility while in the field. 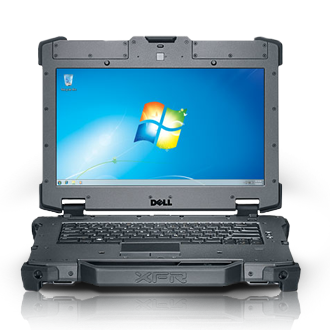 Get protection from harsh environments including extreme temperatures, humidity and dust thanks to stringent MIL-STD 810G and IP5X testing and protective port covers. Look sharp while working hard thanks to the Tri-Metal™ design and anodized brushed aluminum LCD finish and reinforced magnesium alloy wrapped corners. Appreciate the fine details, from strong steel hinges and zinc alloy display latch to the durable powder-coated magnesium underside that helps guard against nicks and scratches. Get long-lasting power and performance to make your job in the field easier. 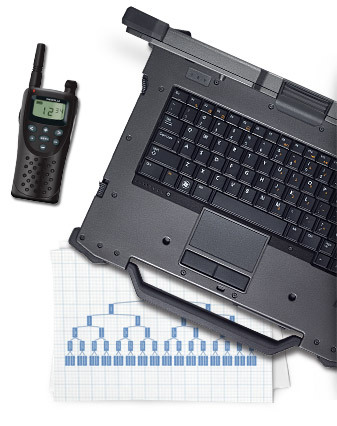 Latitude E-Family laptops are built with your work in mind, offering the features you need to help increase productivity in extreme environments. Stay productive with 6-cell ExpressCharge™ batteries (which recharge to 80% in one hour), as well as extended-life battery options. Experience peak performance — even in deserts and tropical forests — with Intel® Core™ processor options, Genuine Windows 7 Professional, high-bandwidth DDR3 memory, wireless connectivity options and optional 512MB discrete graphics. 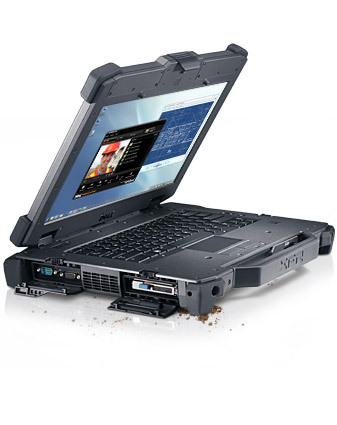 Perform more tasks in the field when you use optional hot-swappable media bay modules, including a DVD drive, second battery, 320GB hard drive, USB 3.0 ports and a legacy I/O module. Work the way your job demands you to with an optional touch-enabled display that conveniently allows you to interact with your laptop without a keyboard — even when you’re wearing protective gloves. See your work anywhere with an impact-resistant, outdoor-viewable, Direct Vue 14" WLED display. Steel-reinforced Cable Lock Slots, Media Module and Hard Drive Locks.